In Mould Labelling (IML) - ISI Plast S.p.A.
IML (In-Mold Labelling) is a transforming process that allow customizing the bucket through complete fusion of the label with the bucket during injection process. IML technology allow to obtain a top quality printing and to reproduce on the buckets special high-resolution pictures able to offer a more charming result. 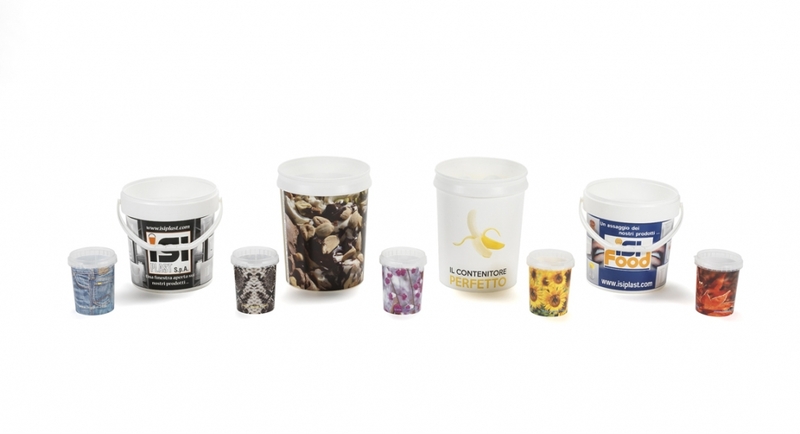 In addition, the IML label can completely cover the bucket wall assuring a more captivating result. It is important to underline that the bucket can be completely recycled since the labels are made of plastic like the bucket.